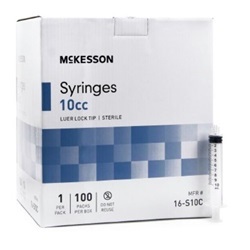 Sterile, 10cc/10ml syringe has 1ml measurement increments. Syringe is polypropylene with a luer lock tip. Packaged in a blister pack. 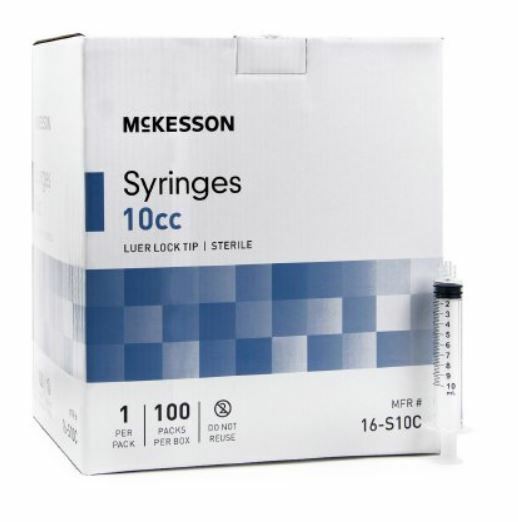 Manufactured by McKesson. Comes 100 per box.